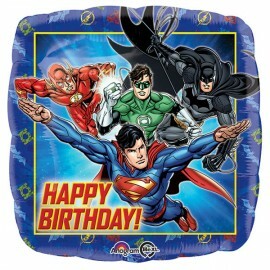 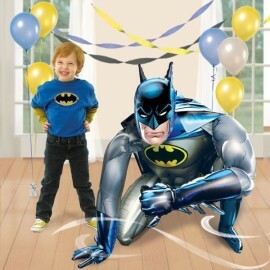 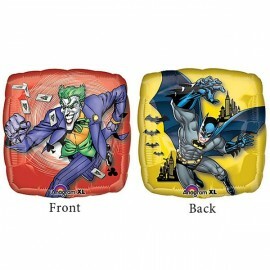 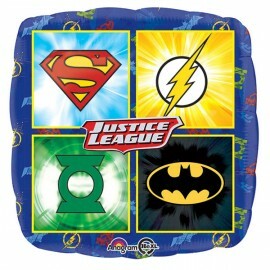 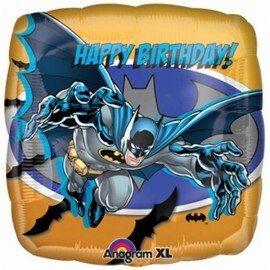 45cm Batman & Joker Foil Balloon (Self sealing balloon, requires helium inflation) Each..
45cm Batman Comics Foil Balloon (Self sealing balloon (Requires helium inflation) Each..
45cm Batman Happy Birthday Foil Balloon (Self sealing balloon, requires helium inflation) Each..
45cm Justice League Happy Birthday Square Foil Balloon (Self sealing balloon, Requires helium inflation) Each..
45cm Justice League Symbols Foil Balloon (Self sealing balloon, requires helium inflation) Each..
Airwalker Batman 91cm x 111cm Foil Balloon (Requires helium or air inflation) Each.. 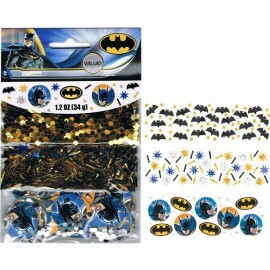 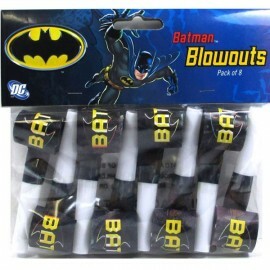 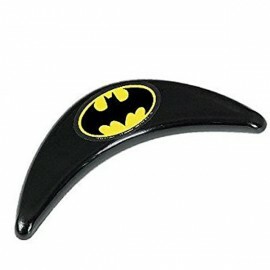 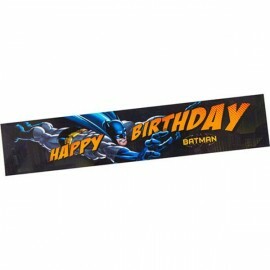 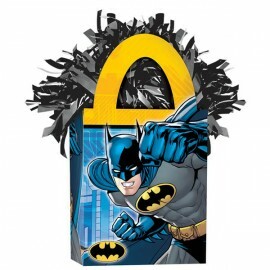 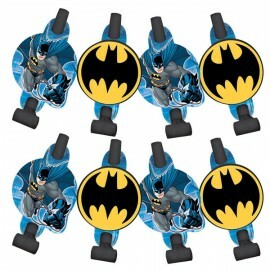 Balloon Tote Weight Batman 2 Sided Design 162g Each..
Batman Banner Happy Birthday Measures 150cm Wide x 30cm High Each..
Batman Beverage Napkins 25cm x 25cm 2 Ply Pack of 16..
Batman Blowouts with Medallions Assorted Designs - Cardboard Pack of 8..
Batman Blowouts, Pack of 8..
Batman Boomerang Favor 12cm Each..
Batman Confetti Value Pack 34g Foil & Cardboard 34 Grams..
Batman Cupcake Decorating Kit, Contains 24 Cupcake cases measuring 6.35cm in diameter and 24 Cupcake toppers with Batman Symbol and Batman's face. 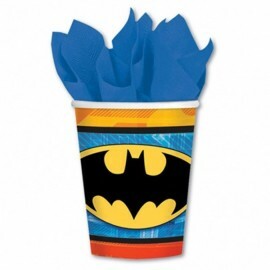 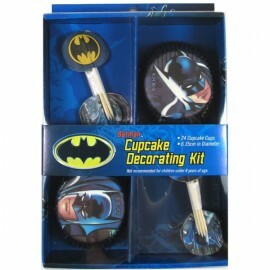 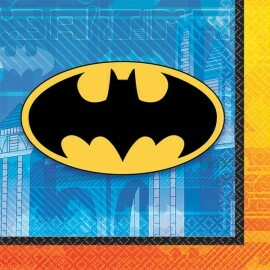 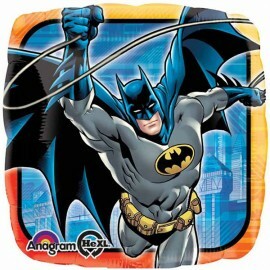 Each..
Batman Cups New Design 266ml Paper Pack of 8..